The original photo, taken in 1999. 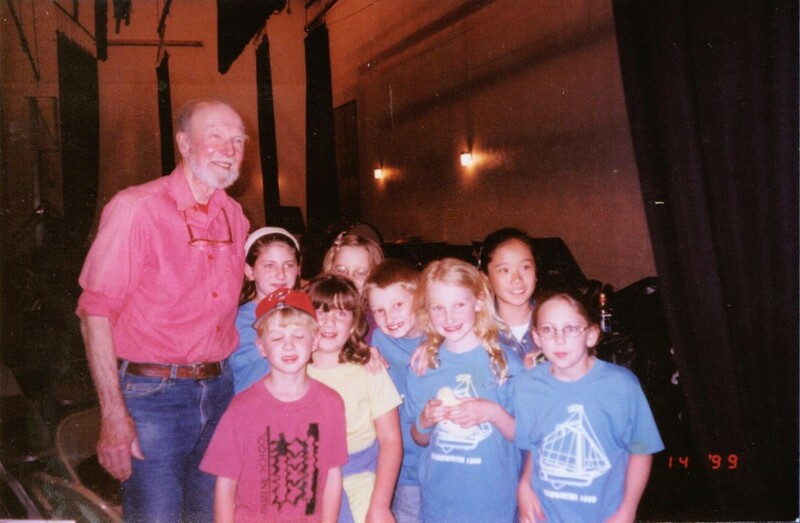 Pete Seeger passed away recently and it was an enormous loss for environmental activism. 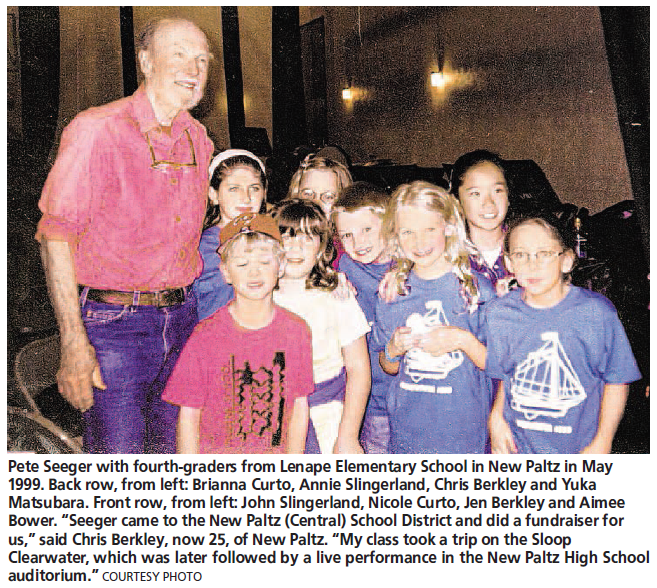 I had the luxury of meeting Mr. Seeger when he hosted a fundraising performance at my elementary school in 1999. My 4th grade class took a field trip on the Sloop Clearwater, followed by a concert at my high school. He performed some of his more famous tunes and was accompanied by my 4th grade class for at least one song. This photo of us after the concert was recently featured in the Poughkeepsie Journal’s tribute article.